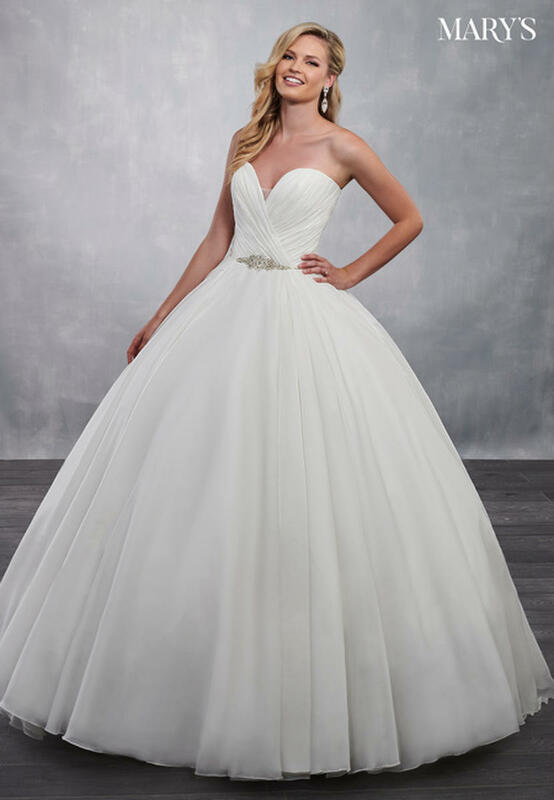 Modern strapless tissue organza ball gown with a sheer illusion sweetheart neckline, draped bodice and crystal beading around the natural waist. The gown is accented with a full skirt, lace up back closure and a sweep train. The matching organza bolero jacket is included.